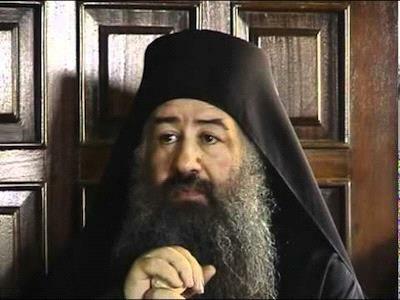 AMMONNEWS - Archimandrite Christoforos Atallah addressed his congregation informing them that he has been barred from all his duties at the patriarchate exarchate for North Jordan based on a decision by the Holy Synod. His eminence bishop Filominos Makhamreh will replace Atallah, who leaves his position after 23 years of service. Archimandrite Atallah announced to his congregation that he will move to the monastery of Our Lady Ever - Virgin mary in Dibbin, a monastery he founded and built. I have received On 3rd April, a letter signed by the Patriarchate’s secretary his eminence, bishop Aristarchos informing me to renounce the Patriarchate exarchate for North Jordan to his eminence bishop Filominos Makhamreh in accordance with the Holy Synod decision dated 4th March 2013. This means that, his beatitude the Patriarch and the Holy Synod have barred me from all my pastoral duties after 23 years of continuous service with the flock in Jordan. This decision came after a successive decision against me, starting from the year 2007 when my salary was suspended and not yet reinstated, without any right, followed by another decision in 2009 by deposing me from my position as a vice president of the Ecclesiastical Court in Amman, without any notification of reasons. Today came this new decision of ousting me from my duties towards the congregation: This congregation, the church and the patriarchate whom I as early as a child vowed to serve. My Children, be sure that I have exerted all possible efforts and available means for the sake of the church’s peace. I have made several visits to the patriarchate in Jerusalem and convened with his beatitude Patriarch Theofilos many times, but all in vain. As the last decision left my fate and place of service undetermined, I will emulate the teaching of Apostle Paul, “when being reviled we bless, being persecuted we endure, being defamed we entreat”, and obey the decision of my church and move to the monastery of Our Lady Ever - Virgin Mary in Dibbin, my monastery which I have founded and built with the blessing of the late thrice Patriarch Diodoros, in order to serve the congregation and for the benefit of the patriarchate. In addition with the blessing of his beatitude Patriarch Ireneos three nuns were tonsured in the monastery. ''There I will settle to relieve and be relieved''. As for you my beloved children, we will remain united in the communion of the One Holy Spirit. We should have faith in the Divine Justice, and the legitimacy of our ecclesiastical, spiritual, pastoral and monastic demands, which our spiritual duty compel us to defend, considering that our Holy Jerusalem Orthodox Church is the only rightful church in land, for which we have to work for its renaissance. As for you my beloved children of the north, I will never forget you as long as I live, and will never forget your pain and distress, nor I will forget your love that you embraced me with, all through my years of service. We clergies and parishioners worked together, gave everything we could within the available limited resources to realize renaissance of our church and our congregation, despite the lack of support from our spiritual presidency for our work. However, with the Grace of God, and the blessing of the Lady of the Life Giving Spring Monastery, we have completed what has been accomplished, thanks to God. Today, I ask you to rally around your new Sheppard (for in unity there is strength) to whom I hold all the love and appreciation, congratulating him and beseeching Our Lord God to help him in his new responsibilities, hoping he will continue to fulfill what have already been built for the sake of our Orthodox church renaissance. I here with love address the new bishop: I am happy to see you grow and I lessen for the glory of the church, the benefit of the flock and the spiritual renaissance. Therefore, you are now entrusted with this congregation. As for me, from the place I have chosen to be in, will offer all spiritual guidance for those who will resort to the monastery, and will remain as I am in the service of the church and the congregation. Here I ask his beatitude Patriarch Theofilos and the Holy Synod, not to leave the situation remain unchanged. I also call upon the conscience of my brethren in the Holy Synod from Eminences, Abbots and all the members of the brotherhood to pay attention to the progress of the church; its future; the brotherhood and the congregation, so that the history will not remember us to have left what is the most important and essential purpose of the law i.e. justice, mercy and love. I am confident that you share my point of view, however, I chose to make my voice heard and bow at the glorious history of our patriarchate, out of worries from a gloomy future. Finally, I extend my gratitude to all who have helped me in achieving all what have been accomplished for the benefit of the church and its spiritual renaissance, entreating the Lord God to reward them with all His Grace & Blessing. I beseech the Lord God to protect our Holy church, mother of all churches and our dear country Jordan and its good nation, under the umbrella of His majesty King Abdullah the second Ben Al-Hussein, God protect & preserve him. Just my speculation! Is it because of nun or child molestations? I 65 years old, and I love to see JUSTICE; Therefor,I strongly disagree with this decision that was and still is unfair, unreasonable, and against the well of our congregation in the North of Jordan. I hope and wish to God to reinstate all the positions of our beloved Archimandrite Christoforos Atallah,(Aboona Hanna) whom we all support and pray with all our hearts to award him with justice and peace... Thank you.